Coronary heart disease has long been the number one killer in the West and for decades, we have been told about five basic risk factors: elevated cholesterol, high blood pressure, diabetes, obesity and smoking. But the truth is that heart disease is much more complex-- with close to 400 risk factors! 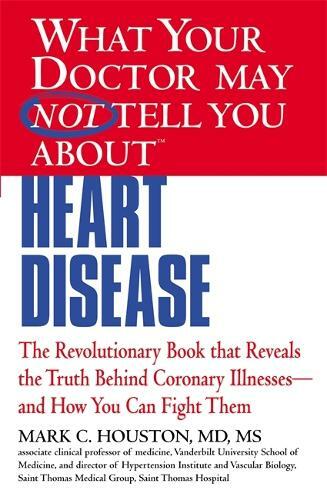 In this innovative guide, Dr. Mark Houston helps readers discover the causes of heart disease, how to prevent and treat its debilitating effects via nutrition, nutritional supplements, exercise and weight management and lays to rest to various myths (cholesterol is not the primary cause) based on scientific studies and medical publications.